RUN PACK BERLIN — Run with the pack. Party with the pack. 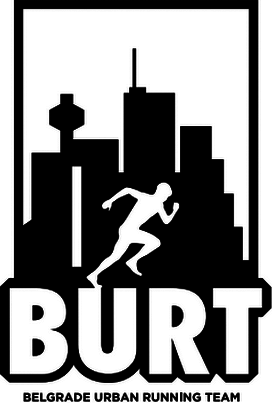 We are a Berlin based group of dedicated people who share the passion for running and our city. We run as a pack and we party as a pack. Founded in early 2013 by a group of runners that had their own vision of a running crew, we rose to become an established part of the Berlin running community. At weekly runs and weekend events our international crew gathers in Berlin/Mitte to chat, party, hang out and most importantly—to run and to train. We do not only care about how fast we run, but also a lot with whom we run. We travel together to races abroad to discover cities and to meet people that we share our passion with. We are not just a club. We are family and friends. We are RUN PACK. We run the streets of Berlin and we love running. We are happy to be connected with amazing people and crews around the globe. No matter where we go - there is always a run to be shared and a party to be joined. These are some of the crews we got to know and found new friends in. We run on Tuesdays and Thursdays. And sometimes on Sundays. We never run the same routes, exploring our city every time for a new. However—RUN PACK is currently not open for new members. Please check our Facebook page for updates on possible future openings.